I make work that draws upon a tapestry of narratives, a literal weaving of words and images evocative of the forces at play in the world. Through the William C. Friday Fellowship from the Center for Appalachian Studies, I traveled to Thailand to volunteer at Elephant Nature Park and interview founder Lek Chailert, an experience that birthed this installation. 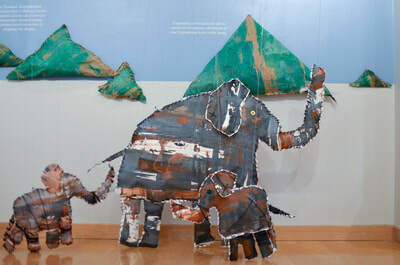 At Elephant Nature Park, more than seventy rescued and rehabilitated elephants live out their retirement in tranquil freedom in the Thai highlands. 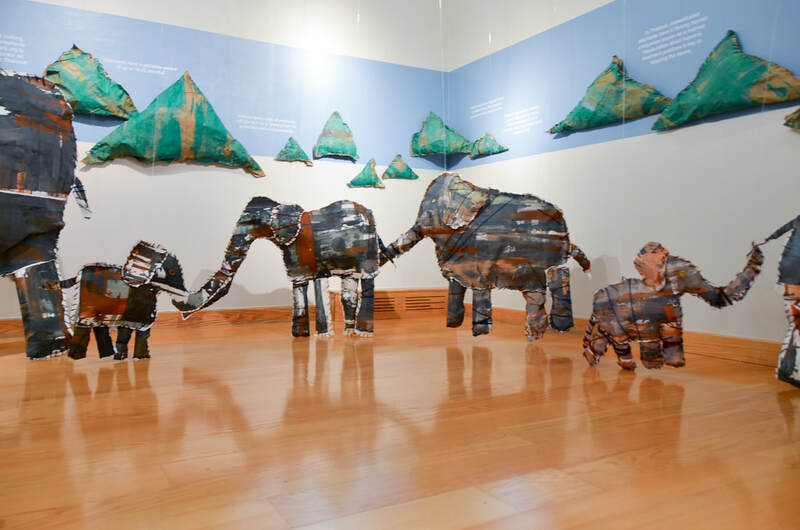 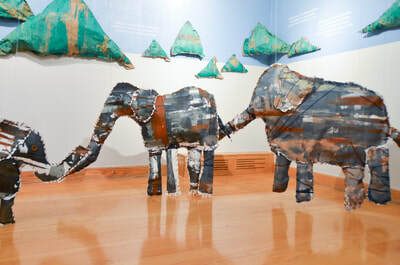 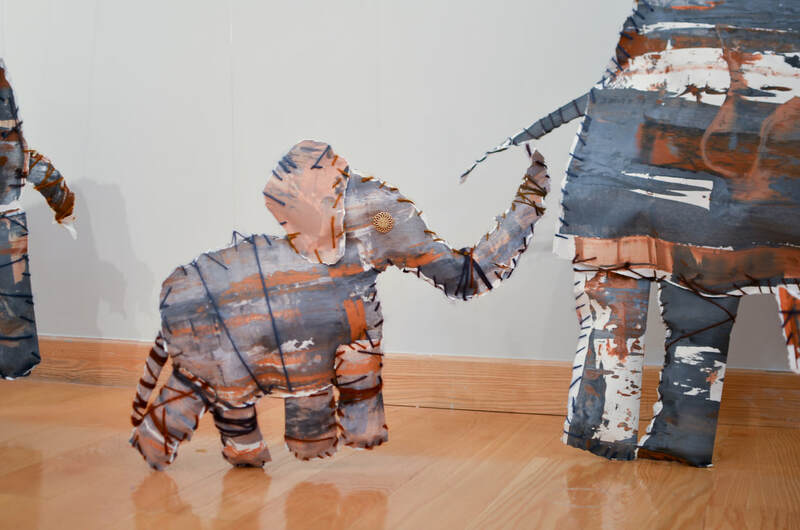 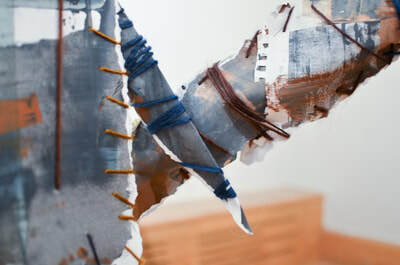 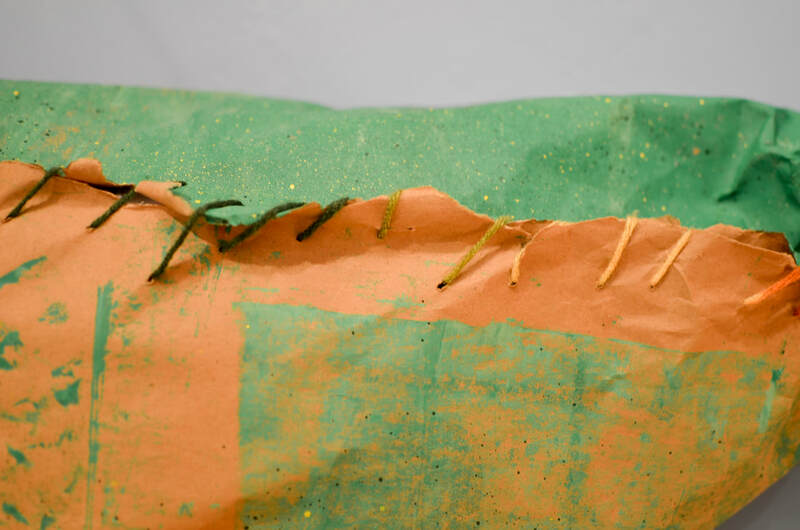 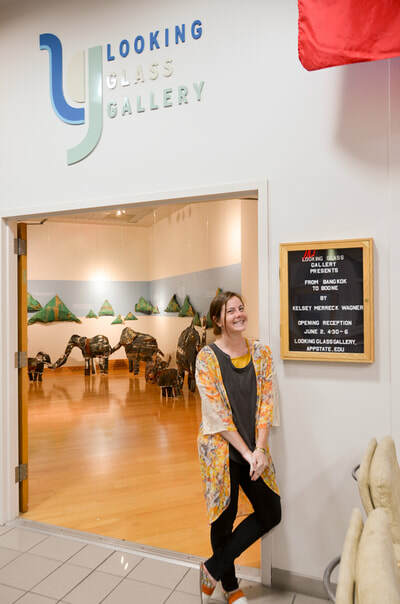 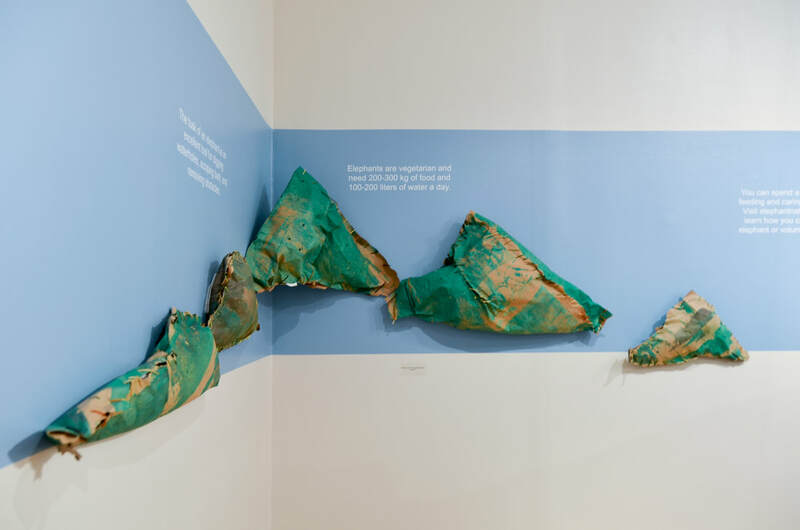 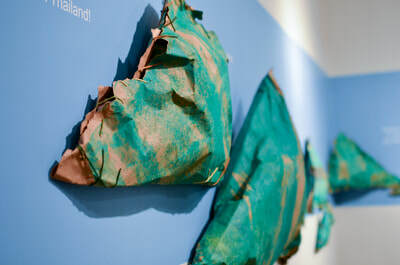 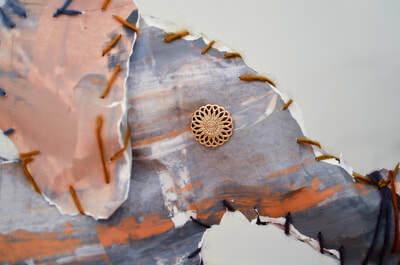 Screen-printing, stuffing, and sewing together paper elephants and mountain ranges is a personal meditation and a cry for help for the elephants whose lives are in peril. 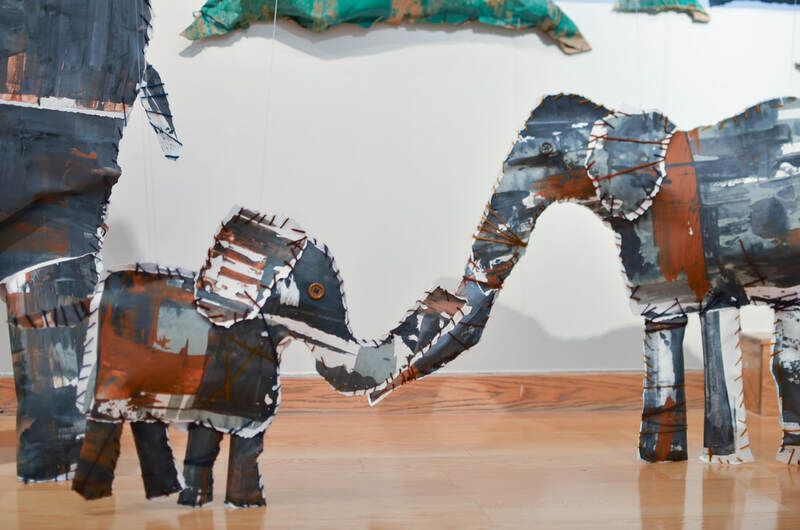 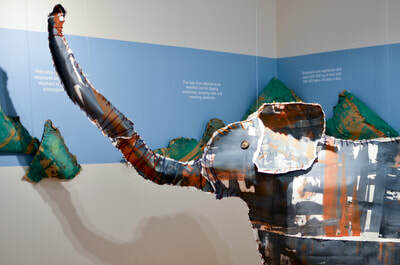 Stuffed with recycled school documents and sewn together with yarn, the body of each elephant represents a signature in a book about the relationship between humans and the earth we inhabit. 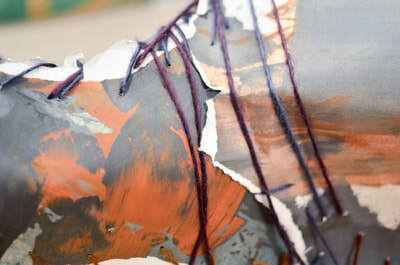 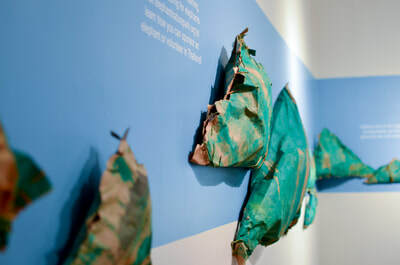 Art has the power to act as a vehicle for social change and awareness, educating the public and linking our humanity with issues of conservation and sustainability. Facing the threat of habitat loss, human-elephant conflict, and inhumane tourism industry practices, Asian elephants are dying by the thousands each year. 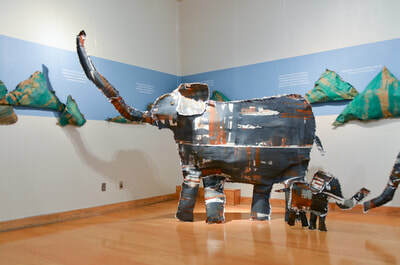 If we are not vigilant, the upcoming generation might only know of these majestic matriarchal pachyderms as photographs in books.